The Boston Fern is a very popular house plant because of its lush, feathery fronds. While the Boston Fern usually does very well inside and can tolerate some neglect, many people can get confused about the right way to care for their ferns. With proper watering and feeding, the Boston Fern can remain beautiful for many years. The Latin name for this classic house plant is Nephorlepsis exalata, and there are many types of ferns in the Nephorlepsis family, including the Dallas, the Fluffy Ruffles and the Kimberly Queen fern. Boston ferns can grow outside in USDA plant hardiness zones 9-11, and they can grow up to 3-feet tall and 4-feet wide. 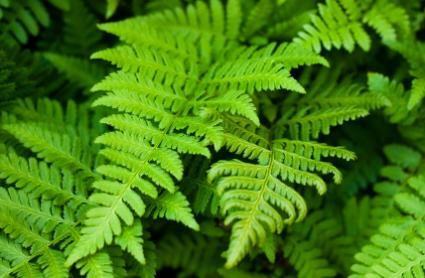 This wide, lush fern has been a staple in households since the Victorian era, when keeping house plants became popular. Ferns grow naturally on cool, humid forest floors where they are shaded by tall trees, so you should try to keep indoor conditions like they would be in a forest. Ferns prefer partial to full shade, and they can dry out if you put them in full sun. Humidity should be kept high around the fern, but the soil should not stay wet. Ferns like to be at room temperature or slightly cooler, or between 65-75 degrees Fahrenheit. If you have ferns outside, bring them inside during the winter to protect them from frost. This is called winterizing your fern. Ferns can be kept year round indoors where conditions can be controlled, but they should be moved inside during cold months. The Boston Fern is one of the most popular houseplants because it is very easy to care for once you understand its needs. Boston ferns should be watered regularly so the soil stays moist. However, ferns should not be overwatered, as this can make the fronds turn yellow. Make sure water can drain from the pot, and don't allow the pot to sit in water. If water runs through the soil to a collection tray, empty the tray. Because they naturally grow on forest floors where decaying plant matter makes for rich, loamy soil, Boston ferns do need fertile soil. However, most potting soil made for houseplants contains fertilizers, so you don't necessarily need to add fertilizer. Summer and spring are the main growing months for ferns, so they should be fertilized when it is warmer. Fertilize only once per month with a 20-10-20 liquid fertilizer diluted with water to half strength. In winter, growth slows down, so you should fertilize only once every two to three months with liquid fertilizer diluted with water to one-third strength. When fronds begin to turn gray, it might be time to move the fern to a larger pot. Boston ferns can grow roots fairly quickly, so check the roots to see if they have grown to the outside of the pot. Choose a new pot at least 2-inches wider than the first pot. For example, if you have your fern in a 12-inch pot, choose an 18-inch pot. Pour a 1-inch layer of gravel or small stones into the base of the new pot. Then add a layer of soil. Push soil around the edges of the pot, creating a well in the center for the roots. Remove the fern from its previous pot by squeezing the pot to loosen soil around roots. If your pot is hard, you can knock the side gently to loosen roots. Grip the base of the fern and turn the pot upside down. Gently pull the pot from the roots and soil. Turn the plant right side up and place in the new pot. Add soil around the roots, pressing down gently as you add more. To establish the plant in its new pot, place in a sunny location (not full sun, but bright) and water. As new growth shades older growth, the fronds at the bottom of the plant will naturally turn brown and dry. Cut these fronds off to maintain a lush, green appearance. Ferns can also tolerate being cut back fairly well, so don't be afraid to cut fronds back. It's usually a good idea to prune in the cooler months and let the plant grow back in spring. Indoor plant pests like spider mites, scale and mealybugs will also attack Boston ferns. Because ferns can be sensitive to chemical pesticides, you should use organic pesticides. Often, plant owners will mistake the fern's natural propagation method as disease. Black spots in rows on the underside of leaves are spores, not disease. If you see these spores, don't spray with pesticide. Simply continue to care for the plant. The main thing to remember about caring for ferns is that too much sun or water is worse than occasional neglect. Too much sun can burn leaves, and overwatering can lead to root rot and fungus growth. Misting ferns is also unnecessary, and can lead to mold on the leaves. It is also important to pay attention to the condition of the plant. Dry, yellow or drooping fronds are all signs that something is wrong, so take the time to diagnose the problem and correct it. With these simple care tips, you can continue to enjoy the lush greenery of your Boston fern for the life of the plant.